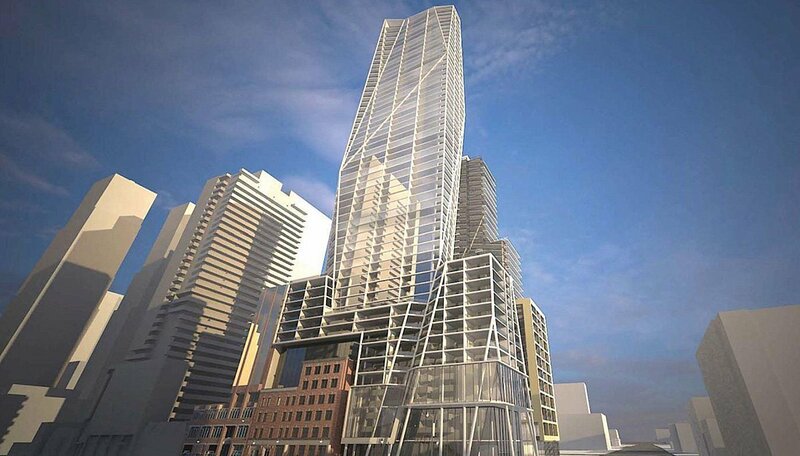 401 King Street West is a pre-construction condominium development proposed by Great Gulf for Toronto’s Entertainment District. Situated in one of the city’s trendiest urban pockets, 401 King Street West Condos is slated for a tentative occupancy date in 2021. This mixed-use project will feature retail and residential space on three different lots, with the integration of an existing heritage building. An ideal location on the southeast corner of Spadina Avenue and King Street West, this project involves three separate sites and an ambitious proposal that could add as many as 615 contemporary condominium units to the neighbourhood. Currently home to an LCBO, the development is expected to contain retail – and possibly office space – likely in the form of a modernized LCBO and a selection of additional tenants. Teeple Architects is currently scheduled to design the buildings, which will likely feature modern, linear facades. An existing heritage building at 401 King Street West will be restored and incorporated into the base of one of the condominiums. 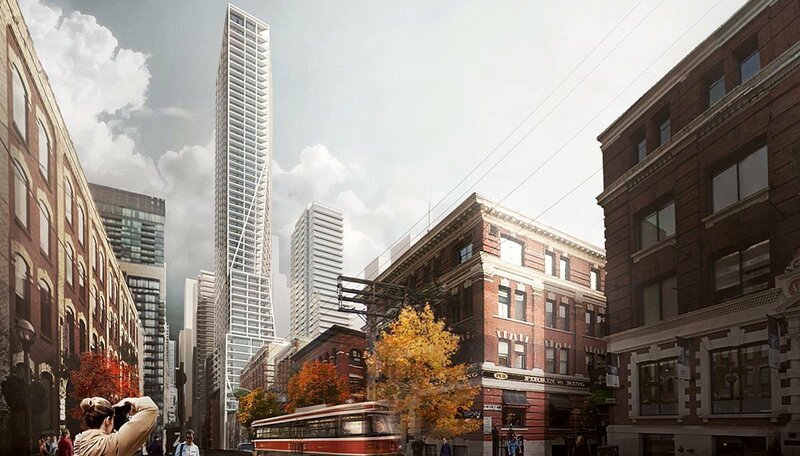 Details about the building’s height and unit mix haven’t been released, but several other pre-construction towers in the immediate area have been approved for heights ranging from approximately 30 to 40 storeys. For the most up-to-date details on this project, Register for our VIP list. Condos in the Entertainment District make exciting and dynamic places to call home, whether you’re a savvy investor or a young professional looking to set down roots. This high-energy downtown location features some of the city’s most lavish, modern residences and puts you right in the middle of the action; including some of Toronto’s hottest bars, clubs, theatres and restaurants, which are just steps away. This area has seen a record amount of recently-completed and proposed development, including a 7-acre, master-planned community, three luxury hotel and residence projects and an abundance of sleek condo towers. Another development in the works is slated to add significant creative studio and gallery space, along with a new campus for OCAD University, further strengthening the area as a vibrant, cultural urban destination. Part of the city’s downtown “urban growth centre,” it’s slated to feature even more density in the coming years. 401 King St West scores a perfect 100 on both its Walk and Transit scores. Daily errands are all within walking distance, while two 24-hour streetcars are steps away and the St. Andrew subway station is a short walk east. From St. Andrew, it’s just a single stop to Union Station, which connects to the GO train, Via Rail and the Union/Pearson Express. The Entertainment District makes a great spot for professionals, as it’s a short walk to the Financial District, where it’s estimated over 200,000 people work. With the amount of office space proposed for Toronto’s downtown, it’s likely that this number will increase. Dynamic and energetic, this neighbourhood is easily one of our favourites. An Award winning group, they were given the Project of the Year Award at the 2016 OHBA Awards and won the Hot Condos Award at the 2016 Mississauga Urban Design Awards. 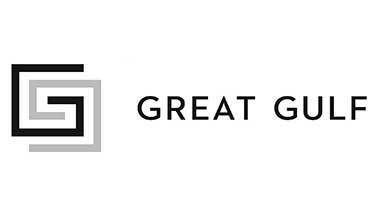 Great Gulf is one of the most recognizable names in Toronto real estate, and they have made their mark across all of North America, having built in Alberta, Texas, Florida, Washing D.C. and Alberta. They strongly believe in using technology and sustainable measures in their developments, so their homes are always state-of-the-art.